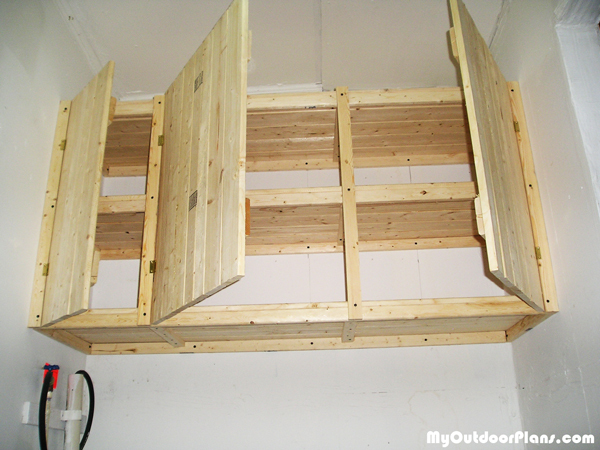 5′ wide pantry cabinet made out of 1×4 strapping. 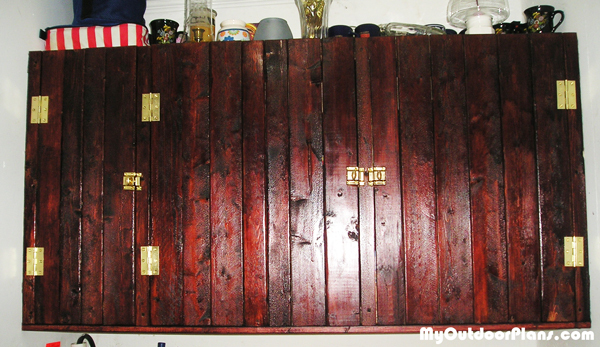 total cost with stain and hardware was $50 and took about 2 days to build. Are there any instructions for this pantry cabinet? No. It’s John’s original design. Bren, if you need them, I can send some detailed pictures.